I can't believe this all started 2 years ago! June 2008 we did our first show and it's been so much fun watching this all happen. Soooooo in celebration of our 2nd Birthday please join us on Friday June 11, 2010 11:00 a.m.- 7:00 p.m. for an Open House. We will be introducing some new products including our embellished hats, headbands, tulle embellished flower clips and leather flower jewelry. And we'll have LOTS of great deals! don't miss it and be sure to bring your friends! WE ARE MAKING SOME BIG CHANGES! Please feel free to email us with any questions or orders. We hope to improve our site, ordering and blog. We apologize for any inconvenience and hope that you will continue to contact us for your hats, flowers and other accessory needs! Hey there! We are soooo excited for things. November is the REAL holiday shopping month and we can't wait for all of the fabulous shows we are participating in this year! So, let's get to it! Saturday Nov. 7th we will also be at a Special Fall Festival to help support The American Legacy Academy! The hours are from 4-9. The address is 215 North Center American Fork! Hope to see you there! When you Purchase 5 charms you will receive a free bauble ! We appreciate your loyalty and support in making our business a success!! Thursday, October 22nd from 11am-8pm! Come and see all of our fabulous items and get HUGE savings!!! New Designer Denim now in! *New Handbags in and select styles discounted! Lots of Charms on Sale! Children's Halloween Costumes on Sale! "Bling" T shirts 25% off! Bonjour Belle signature jewelry on sale! 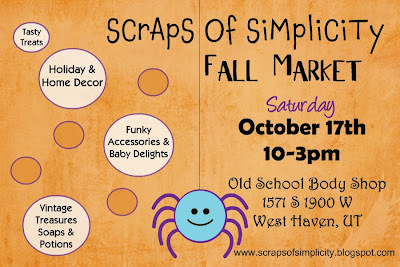 10.00 Necklaces 7.00 earrings 7.00 bracelets (while supplies last ! New Baby Chicks shoes and Studio 32 Shoes have arrived! Please join us this weekend up in Weber County! We are going to be at 2 shows up there! Beginning Wed. Oct. 14 and running through Sat. Oct 17th. Wed.- Fri. Hours are 10 a.m.-8 p.m. and Sat. hours are 10 a.m.-6 p.m. We have enjoyed this show in the past and are looking forward to another great show this weekend. The show takes place at Ogden's Historic Union Station 2501 Wall Ave. , Ogden, Utah. Please forgive me as I try to play a little catch up. I have not posted for awhile. We have been UBER busy getting things ready for an AMAZING!!!! Swiss Days Show up in Midway(my MIL's quaint little town). I love it there! So.....IT WAS AWESOME!!!!!!! Thank you to everyone that helped out with the Booth. I can't thank you enough and to those of you that purchased items from us.....THANK YOU! A-MAZ-ING!!! I love those ladies (Dani & Heidi), what an amazing show. They never cease to impress. 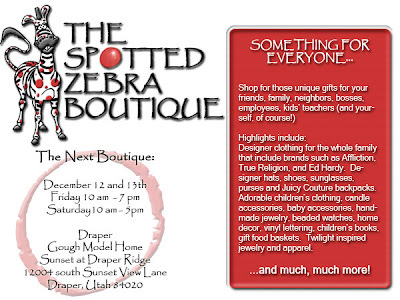 And lastly Terri's Blue Goose Boutique in Lehi. Terri and her team really work hard to put on a flawless show. They have their System down and are so kind to put up with my crazy life. Thanks Ladies! I thought I might have a Klingon with me as I worked my shift but, they were willing to work with me through the chaos. I t all worked out in the end. It is always nice to do a show so close to home. Thanks to you ALL! This weekend Swiss Days Santa Clara! 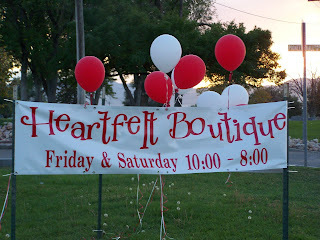 We will also be at the Heartfelt Boutique in West Jordan this weekend. Come find us across the Street From Gardner Village! 1137 West 7800 South in West Jordan! We will have more shows coming up real soon so keep checking back for some GREAT fall giveaways and Show Posts! Can you believe it is THAT time of year again already? It is CRAZy how time flies. Exciting though! I will have 3 kids in some sort of school this year and the girls can't wait to wear their new clothes and Demi-Clips! Demi-Dos will be having a Back to School Shopping Night... Thurs. August 6th from 6-9 p.m.! Tell ALL of your friends! We will be having Give-A-Ways all night! Specials on all of our items and refreshments too! So, bring the GIRLS (all of them) and come shop our annual Demi-Dos back to School Shopping Night! Flower Clips: $5-$8 each...Buy 3 get 1 FREE! Once again we will be attending the Highland Fling! We had a great time there last year and hope that we will have another great show this year! The fun starts this Friday! The Boutique opens on Sat. August 1st at 10 a.m. & will be running all day long, ending with fireworks at 10 p.m. at Hertitage Park in Highland, Utah! For more info on all of the festivities in Highland click HERE! Can't wait to see you there! We are excited to be a part of the Freedom Festival again this year! Please join us for all of the festivities! We will be there Thurs. July 2nd 5 p.m.-10 p.m., Fri. July 3rd 10 a.m.- 10 p.m.& Sat. July 4th 8 a.m. - 8 p.m.! We are excited to be attending the Pony Express Days in Eagle Mountain again this year. This is an exciting time for us because it marks our 1 year anniversary! I can't believe it has already been a year! So, as an Anniversary Special to ALL of our wonderful customers we are offering some AWESOME Specials! THIS WEEKEND ONLY! All of our Hats will be $12 each!!!! ALL flowers will be $5 each! So, come out to Eagle Mountain on Thurs. June 4th 2009 between 4-8 p.m., Fri. June 5th between 11 a.m. - 8 p.m. or Sat. 6th between noon- 8 p.m.! We can't wait to see you ALL! We are also doing a Give-A-Way! There are 2 ways to enter! 1. You can enter a comment here on the blog or 2. You can enter in the drawing this weekend out at Pony Express Days! 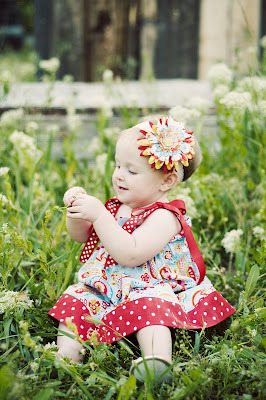 "I am always getting comments on my daughter, Bella whenever she wears your cute flowers. I thought I would email you some pictures of her with them on...she looks so darn cute. Thanks for the fabulous flowers. I love them!!" I was so thrilled to get this email and the pictures along with it! Thanks for letting me share Lindsay! She is adorable! I hope you will all enjoy them as much as I did! Come see us this weekend! Fri. & Sat. 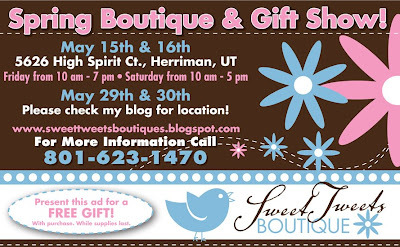 we will be at the the Sweet Tweets Boutique in Herriman. These shows are always super fun 'cause they are not just a room full of craft booths. Andra teams up with different home builders all over the valley and uses their Model Homes as a fabulous Boutique! Also on Saturday we are going to be across town in.... Sugarhouse! This will be a great show for those of you on the east side. We’re back just in time for summer fun! and get a sneak peek at our new merchandise. Featuring: new vendors, home décor, Fourth of July decorations and clothing, more children’s attire (by popular demand), and more! Limited Hours – Don’t Miss Out! 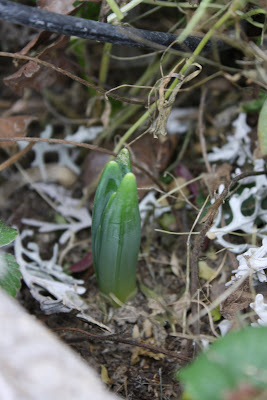 Spring Is In The Air....and Everywhere! So, for my family and many of you it means new dresses in pastels, linen (which my son will sport this Easter), daffodils and my favorite, TULIPS as a centerpiece. Shorts, flip flops, swimming suits and Sun Hats (from Demi-Dos)! 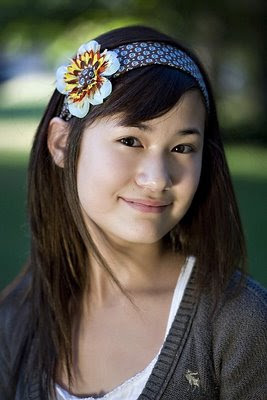 Add a Demi Clip to any outfit! Casual(from the beach to the ball park), Dressy (from Dinner with your Honey to Singing in the Choir) or Formal(From Prom Night to the Alter) we can add that POP to your outfit that you are looking for! We can customize our flowers to match any ensemble or occasion. All of our flowers are one of a kind..no worries that anyone else we be sporting your same flower on Easter or any other occasion. Come join us at any of the following Shows...We are sure to help get you ready for the fabulous styles that Spring has to offer! We are adding several new items to our collection of fabulous products this season. So come check us out!!!! *Show Times* Fri. 10a.m.-7 p.m. & Sat. 10 a.m.-5 p.m.
*Show Time* 7 p.m.-9 p.m.
*Show Time* 6:30 p.m.-8:30 p.m.
We were recently featured on the Sweet Tweets Boutique Blog as a TOP vendor! Andra is so nice to say such good things about us! I suppose I should do the same for her...I would even if she hadn't already said nice things about me. 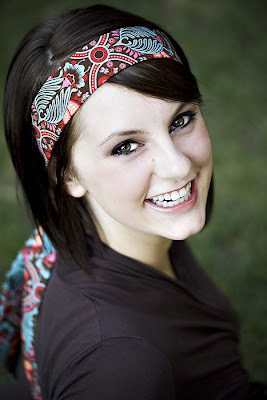 She is adorable and fun, carefree and obviously ambitious! 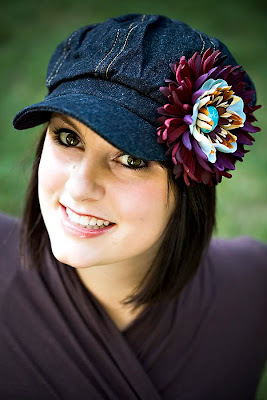 I love her outgoing personalityAndra is the owner of Sweet Tweets Boutique. Here is what she says about herself... "What started as a fun little hobby has turned into a successful business! 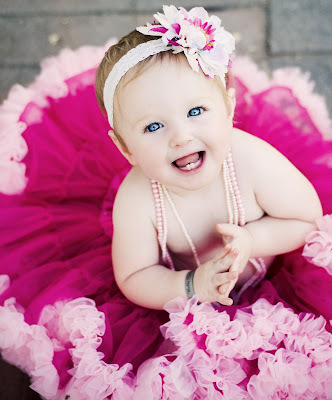 I am a stay at home mom to my beautiful little Whitney and I'm a step mom to the most wonderful step daughter Elle. I'm married to an amazing guy that makes me smile everyday. My boutiques give me a way to release my creative juices and lets me put some extra money aside for a very expensive IVF! It's worth every penny to me. Nothing is more rewarding than having giggles fill your home. I'm so lucky!" 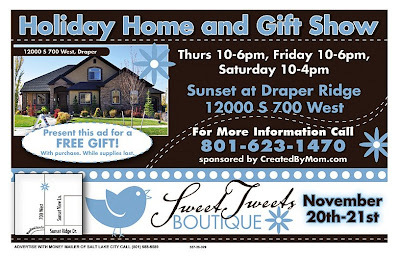 So, just so you all know... Fri. & Sat., March 20th & 21st we will be at the Sweet Tweets Boutique. 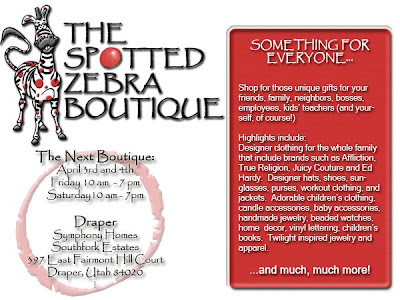 This Boutique is a traveling show and the first stop on the tour is in Fabulous Ol' Lehi. The venue is at Richmond American home in Gray's Farm in Southwest Lehi. 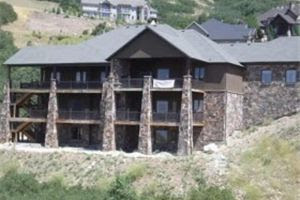 The address is 260 South 2275 West, Lehi, Utah. I hope you will swing by for a wonderful Spring shopping day! Be sure to bring your Friends! If you can't make it for this fabulous show no worries 'cause we are going to be moving to a another venue just up the road and up the mountian a bit too. Traverse Mountain will be the spot on April 17th & 18th. Richmond American will be hosting the show again and trust me this show will be GREAT! & just in time for Mother's Day. This weekend Demi-Dos will be at the South Towne Expo Center during the Safe Kids Fair! We will be participating in the Tinker Bear Boutique! Friday Feb. 27th from 10 a.m.- 6 p.m. & Saturday Feb. 28th from 11 a.m.- 6 p.m.! Admission is FREE! Please email cathy@demi-dos.com with questions. HELLO!! & THANKS!! We had a great show last week here at my home! Thanks to everyone that came and brought friends! The comments we continue to get from people are fabulous! We are encouraged by the support and the many opportunities we have been given. We have been receiving lots of web orders and that is AWESOME! Thanks so much it is because of you! Also, we are excited about our new Facebook Group! If you would like to join the group click here. It is totally FREE and you will get updates on sales, promotions and events that we are involved in! Check it out! We have a few parties coming up this next week...We have 3 shows scheduled back to back just in time for Valentines Day! Our products are perfect for your little Sweethearts & loved ones of ALL ages and don't forget...you get 20% of your show Sales in FREE Merchandise when you host a party! Email me if you are interested in booking a show of your own! 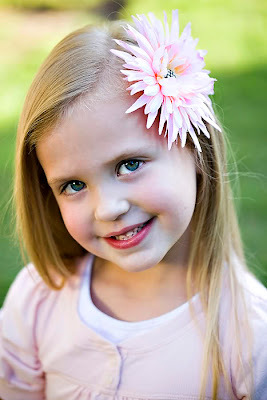 We are booking parties and debuting our Spring line of Flower Clips and coordinating Sashes! 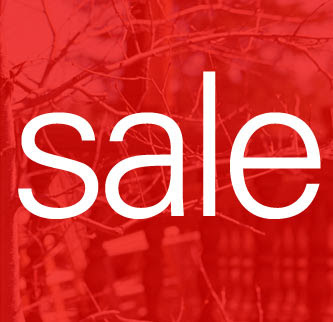 We are having a 25% OFF sale as well. All scarves and gloves are going to be on sale! Tell all of your friends and come checkout all that demi-dos has to offer. Don't forget, anyone that books a party on Tues. January 27th will receive a sash of their choice...just for booking a party! See you there! I'm Back!!!! and it's Party Time! After a nice long vacation and a fabulous Holiday Season, I am back..and to kick off the new year I am going to be hosting a fabulous party here at my home! The details are all still in the works but, I wanted to give you all a heads up on this show! I will be booking shows at this party... Anyone who books a party at my party will not only get 20% of their show sales in FREE merchandise but also a FREE sash and of their choice! So, start thinking about when you want to host your party! As producers of handmade products we are looking to our supporters to help us SAVE the products that we make! The Consumer Products Safety Improvement Act is going to go into place in February of 2009. This Act will close our business as well as ALL other handmade businesses! 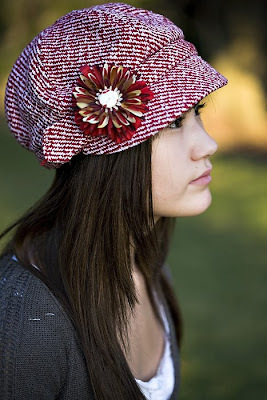 Please read what Cool Mom Picks has to say and join us in our efforts to SAVE HANDMADE! My friend Kelli and I decided we wanted to promote our businesses and decided that hosting a boutique of our own would be a great way to do it! SOOOOOOO.....We are excited to introduce our new boutique...SNAPPY VALLEY! 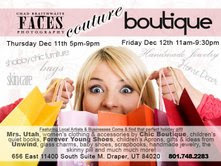 We have several of Utah Valley's finest vendors participating in this show. There are only 11 days until Christmas so come check out what we have to offer...Tues. Dec. 16th, 2008! 1844 Pointe Meadow Loop, LEHI, Ut. Shopping begins @ NOON! We will be taking a break at 3 p.m. but will be up and running again @ 6 until 9 p.m.! So, grab your girlfriends and enjoy some of the areas most fabulous vendors for an afternoon/evening of shopping! We will be doing doorprizes every hour and if Santa hasn't "wrapped" things up at your house yet..let us do it for you! ...just to Name a few! Hope to see you there! If you haven't been able to make it out to any of the boutiques we've been involved in lately...you just might want to make it to one of these 2 upcoming shows... or both even!!!! Thurs. December 11th 5-9 p.m. & Fri. December 12th 11 a.m.-9:30 p.m.
656 East 11400 South Suite M.
Fri. December 12th 10-7 p.m & Sat. 10-5 p.m.
Oh Sweet Sadie!...Best show of the YEAR! 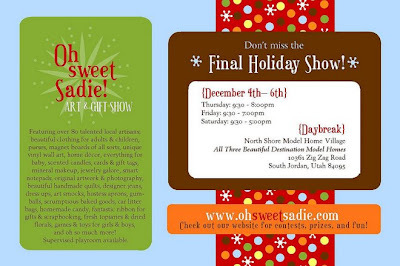 I just have to say that if anyone is in the SHOPPING mood this weekend or even just wanting something fun to do...GO to OH SWEET SADIE!!!! This is THE most fabulous boutique around! They have Not 1, or even 2 houses FULL of AMAZINg stuff but....3 did you get that? 3 Houses FULL of stuff including Demi-Dos! Awesome deals on CUTE, CUTE stuff for everyone you are buying for! NOT kidding. If you live near me you are literally only 20 minutes from the show. It is at Daybreak in South Jordan...out by THE DISTRICT! If you have never been out there...GO! I LOVE it. It is just fun to look at the houses (did I tell you that this show is taking place in 3 different DESTINATION model homes?) SUPER CUTE! So, since I know there is NOTHING better to do....go out there this weekend. Sat. is the last day of the show. it closes at 5 p.m. ! Ya'll ready? Shopping begins in just 3 days! Fri. Nov. 28th, 10 am-8pm! 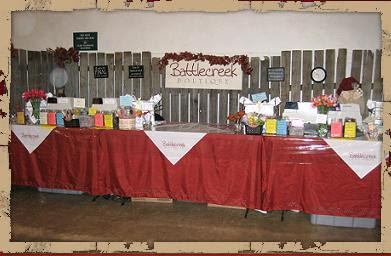 We will be at the Spanish Fork Fair Grounds for the Christmas Gift & Craft Show! 500 S. Main Street. Spanish Fork Fair Grounds Tennis Courts. For many people, shopping at the show is as much a part of the holidays as their Thanksgiving dinner the day before. Whether you come to the show every year or are planning to come for the first time this year, we look forward to seeing you at the show--remember, admission is free--we'll see you at the show! For First hour of the show ALL items will 50% OFF the regular Price! Tell ALL of your friends because this is a ONE TIME ONLY sale! Then on Mon. Dec. 1st we will be in California! We were asked to come out for a fabulously fun show in San Ramon, California. We are really looking forward to seeing ALL of you, in the Bay Area. Stop by ClubSport San Ramon for a festive Holiday Boutique on Monday, December 1st from 10am to 7pm. Check out the creative and fun gift items available from 28 different vendors including jewelry, wreaths, lotions & soaps, personalized medal displays, pajamas, ornaments, quilts, spa robes, cosmetics, an array of holiday items and much, much more. This is a great way to get your holiday shopping done. Just come on into the main Lobby - you can't miss it. Event is open to the public, hope to see you there!!! 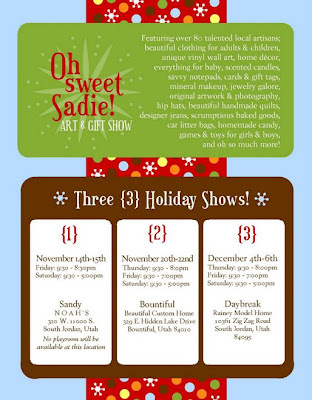 Sweet Tweets, Oh Sweet Sadie & SEMO Christmas Art & Gifts Extravaganza! I am soooo excited for the shows we have coming up this weekend!!! !These 2 shows are simply THE BEST! These ladies have captured the BEST artisans around! Not only are the products going to be A-MAZ-ING! but the 2 homes that are the venues for these shows...Beautiful! for lack of better words, there will be"... BEAUTY ALL AROUND"! So, 'tis the season....get out and SHOP!!! You won't be disappointed! Oh Sweet Sadie! Thurs. Nov. 20th 9:30-8:00pm, Fri. Nov. 21st 9:30-7:00pm & Sat. 9:30-5:00pm! 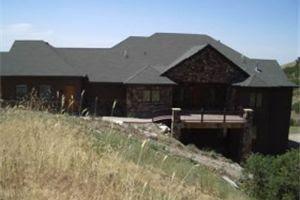 329 E. Hidden Lake Drive, Bountiful, UT 84010 This show will take place in This Beautiful Custom Home! Also, Oh Sweet Sadie! is having some fantastic give-a-ways on their website! You can check it out here! A map to this show is here! The other show we are doing is in Draper! The Show starts Thurs. Nov. 20th at 10 and runs until 6 pm, Fri. Nov. 21st 10-6pm & Sat. Nov. 22nd 10-4pm! Directions to the show are here! Email me and I'll send you a copy of the ad for a FREE Gift with purchase! Finally, we are going to be doing another Give-A-Way! Stay tuned for more details! I'll be posting them on Friday! SEMO, Demi-Dos is going to be at the Show-Me Center! This Sat. and Sun. Nov. 22nd & 23rd! The hours are 10-6 pm on Sat. ans 10-4 pm on Sunday! Kim will be there selling our items! So, don't miss out on this Extraordinary event. They will be showcasing ALL of the best vendors in the area! Gather your holiday shopping list and visit the 38th Annual Arts and Crafts Show. You will find a variety of merchandise includingDEMI-DOS, woodcrafts, clothing, jewelry, pottery, dolls, home decorations, glass and much more. 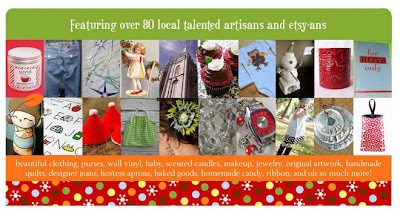 More than 300 high-quality crafters will be on hand at two locations. This event is one of the area's largest craft shows, attracting more than 10,000 visitors from all over the region. See ya there!